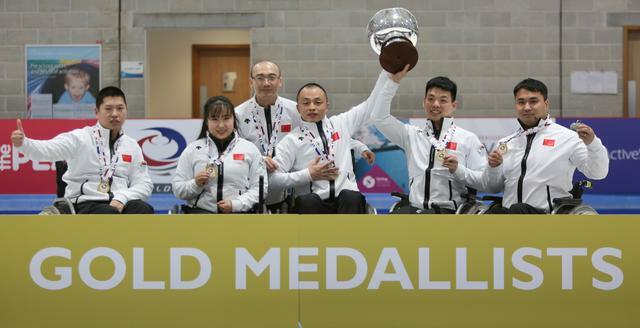 Paralympic champions China were crowned world wheelchair curling champions for the first time on Sunday after a tense game against hosts Scotland. China emerged triumphant after two hours of close play in Stirling, with both teams producing a solid performance. Scotland went into the eighth end needing three points to stay in the final. With two stones left to play, the hosts had one in the house and last-stone advantage. China skip Wang Haitao executed a perfect take-out to remove the Scottish stone and any chance Scotland had of winning gold. The Scots conceded, with China winning 5-2. The game began with nerves on both sides and the first end was blanked. China won the second and third ends with one point in both. Before the break Scotland finally got on the scoreboard, thanks to a perfect shot from skip Aileen Neilson. The next two ends were also single-point ends, China taking the fifth with an impressive shot and Scotland the sixth. The critical moment came in the seventh end, when China used their last-stone advantage to full effect. 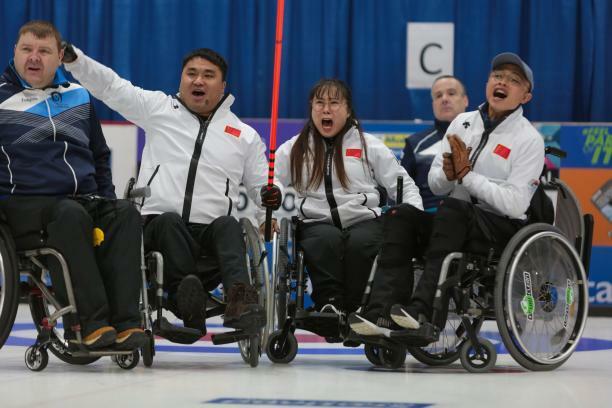 Wang took out the Scottish stone lying closest to the centre of the house and scored two points, putting China the crucial three points ahead. In the morning, Norway and South Korea faced each other for the bronze medal. The 2017 world champions Norway took the first end but only by a single point, and from then on, it was South Korea’s game. The South Koreans won the second end by four points and consolidated their lead with a steal of two points in the third, after Norwegian skip Rune Lorentsen’s last stone proved too heavy. Norway fought back with single point ends in the fourth and fifth, but in the sixth end South Korea’s last stone was perfectly placed to secure them a further three points. Following the seventh end, in which South Korea stole a further point, Norway conceded. “We are always happy to get a medal,” South Korea skip Soonseok Seo said. “Frankly, we had a bad time at the start of the round robin. Then we won, and won, and won, which was good. Lorentsen, who is retiring from international competition after the championships, was voted the championship’s sportsmanship award. “We didn’t reach the top level we can play. It was small margins that made the difference,” said, Lorentsen, who plans to take up coaching.